In this workshop, we'll build a digital networking strategy that will help you develop and present your brand, understand how to present the best first digital impression and how to speak to the people you invite to your digital party on LinkedIn. You'll leave this workshop with a plan to build and enhance your online presence enabling you to leverage stronger networking opportunities. 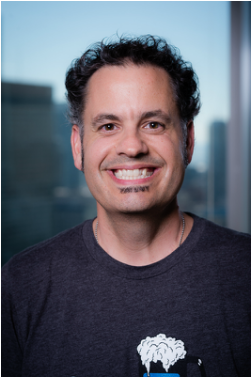 Perry Monaco is the Head of Customer Success in Canada and LATAM at LinkedIn, managing teams in Canada, USA, South America. These teams are responsible for building social media strategies for Talent Acquisition leaders around the world leveraging the confluence of technology, marketing and recruitment to connect people with opportunities around the world, at massive scale. Perry was one of the first 4.5 million members of LinkedIn and sits in the top 10 of most engaged employee profiles on the global network. He has spoken at numerous conferences around the world. Perry was the first Consultant in Canada for LinkedIn and currently resides in Toronto.